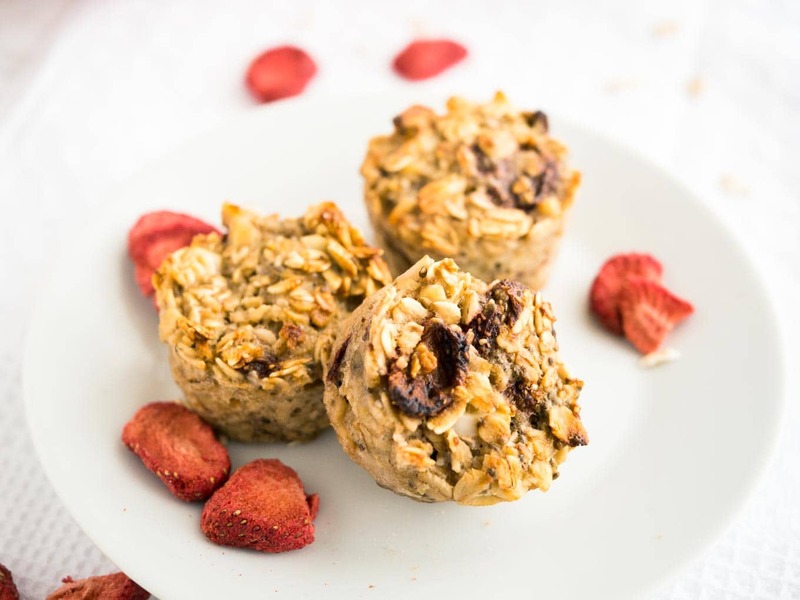 These Strawberry Baked Oatmeal Cups are perfect for busy mornings! 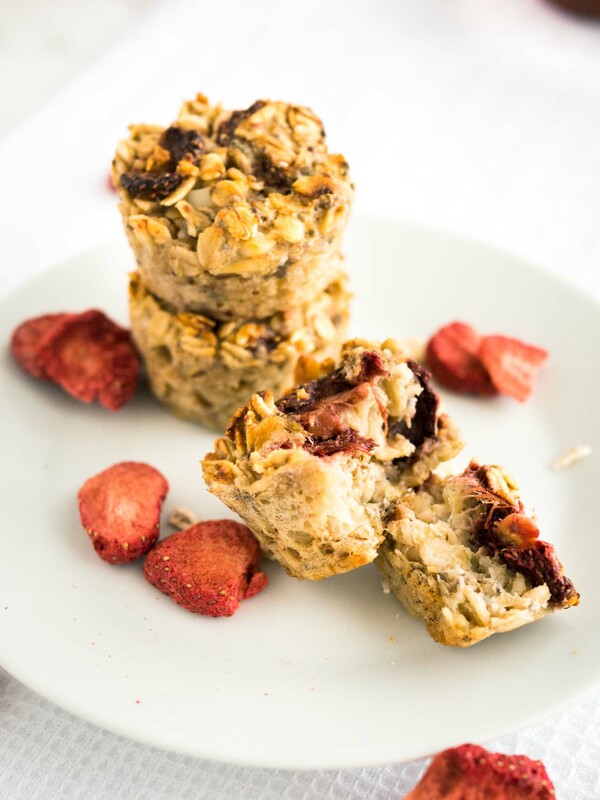 A healthy grab-and-go breakfast or snack filled with oats, strawberries, and chia seeds. 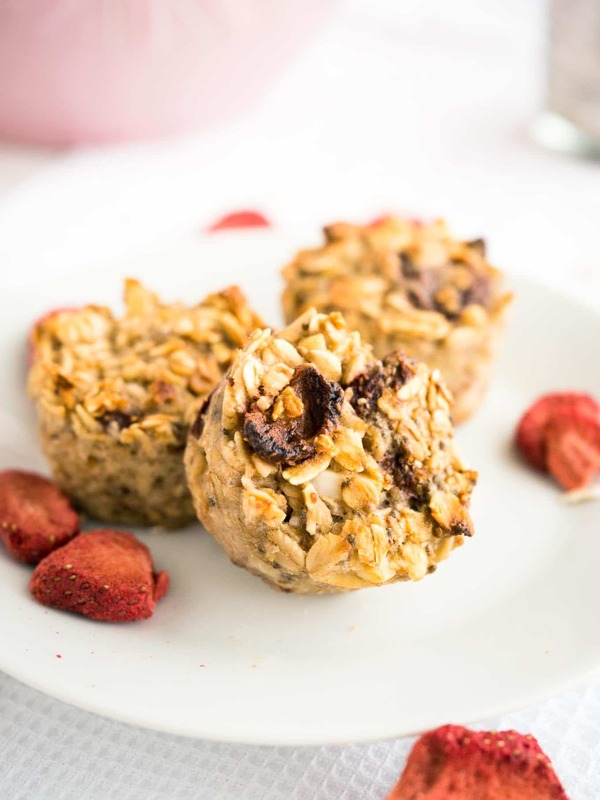 Grab-and-go breakfast snacks like these baked oatmeal cups or my Raspberry Muffins with Streusel Topping are perfect for me because I’m not a big morning person. I like to hit the snooze button a bit too often and when I’m finally awake I need something quick to eat before starting to work. like the ones from Bob’s Redmill. 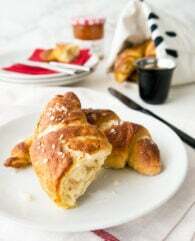 And did I mention that they’re super easy to make? 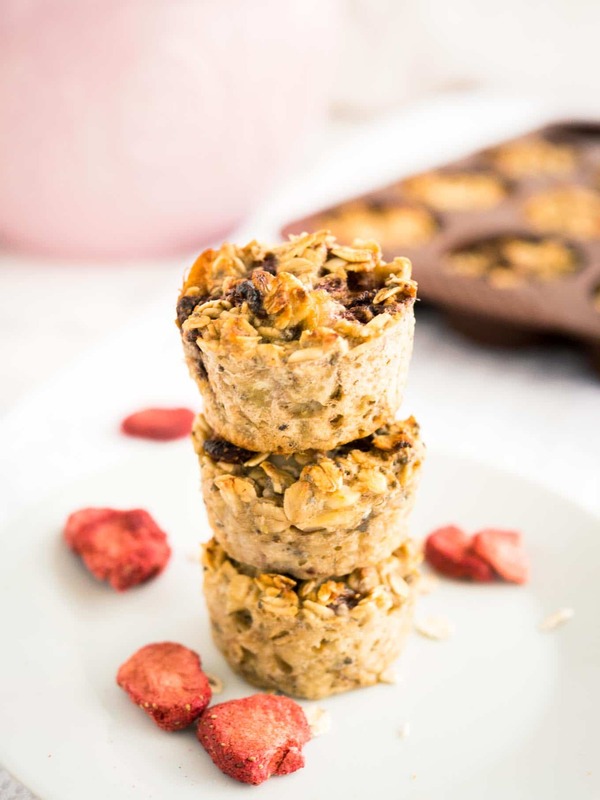 You just need a few minutes to whip up a batch of these healthy baked oat cups which will last you a few days! 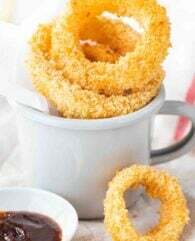 They also make a great filling and hearty afternoon snack between meals. These little oatmeal cups have a special ingredient which makes all the difference: Freeze dried strawberries! and most supermarkets. Make sure to buy those without added sugar, they are sweet enough. 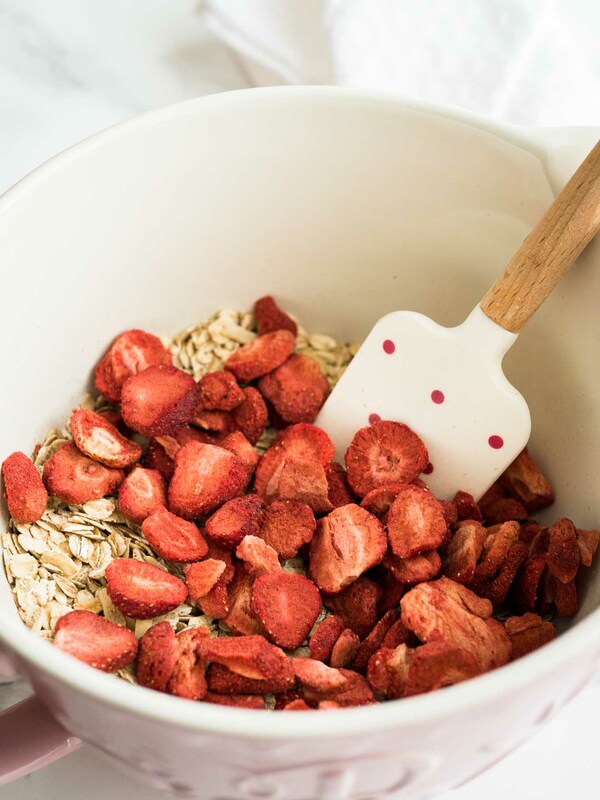 Freeze dried strawberries make a great healthy snack and taste so good mixed with granola but they’re also perfect for baking. They don’t contain any water so they won’t make your baked goods mushy and they’re super flavorful. Perfect for making buttercreams like in my Naked Strawberry Layer Cake! 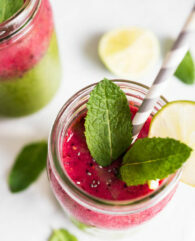 They’re also a great choice during fall and winter when you can’t get those juicy and flavorful local berries. Baking with them is so easy! 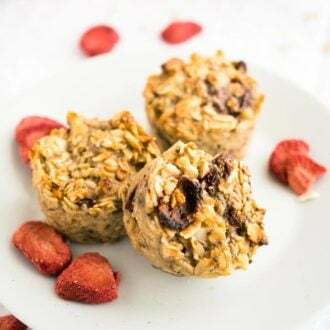 To make these Strawberry Baked Oatmeal Cups you just add them to the dry ingredients, no need to chop them before, then mix the wet and the dry ingredients together. 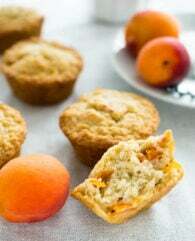 Bake 20 minutes and you have a delicious, healthy breakfast! One batch lasts us two to three days. 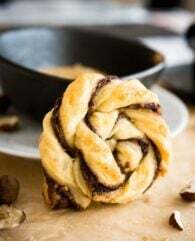 They can be kept in an airtight container at room temperature for up to three days and are freezable (just leave them on the counter overnight to defrost). 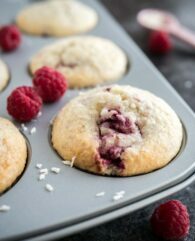 Preheat oven to 350°F (180°C) and spray a normal or mini muffin tin (preferably a silicone one) with cooking spray. This recipe makes about 10 normal sized or 16 mini muffins. 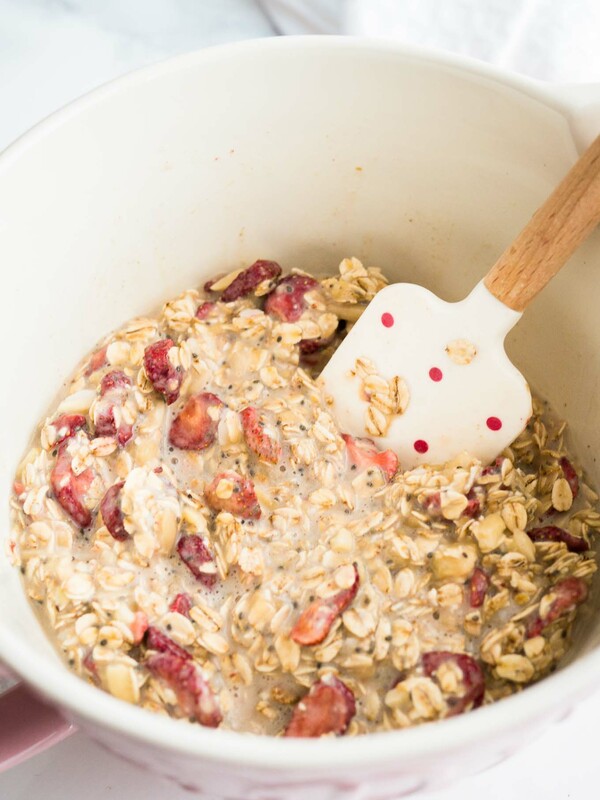 In a large bowl combine oats, salt, baking powder, chia seeds, chopped nuts, and freeze dried strawberries. 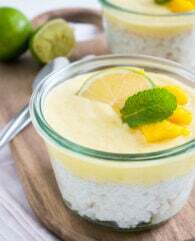 In a separate bowl whisk together mashed bananas, maple syrup, egg, and melted coconut oil until well combined. Whisk in milk. Pour milk mixture over oat mixture and stir well to combine. 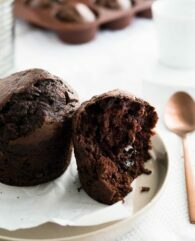 Use an ice cream scoop to fill the prepared muffin cups all the way to the top. 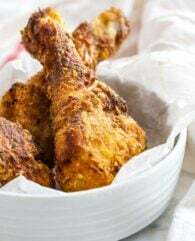 Bake for about 20-25 minutes or until set and just lightly brown on the edges. Allow the cups to cool for a few minutes for easiest removal. 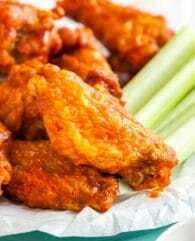 These are tasty warm and at room temperature. These look amazing! 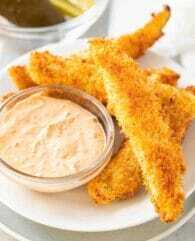 I’m going to try them asap – my kids will love them, and so will I! We like baked oatmeal cups. 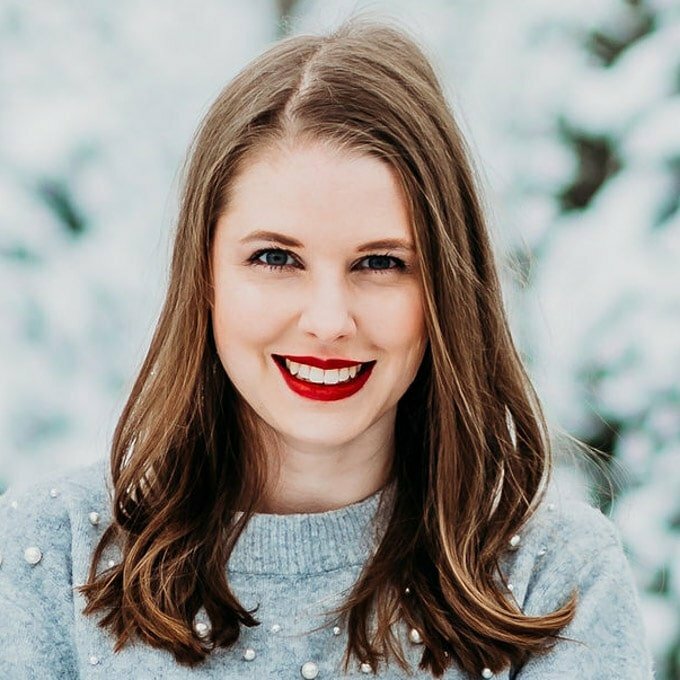 I didn’t know you can freeze them – thanks for the info :)!